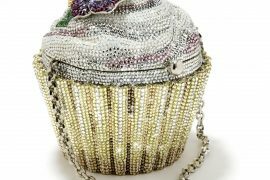 One of my favorite ways to learn about a city when I travel is with food tours. We walk, learn, eat and repeat. I get to sample several types of foods, learn about the city from a local and get a bit of exercise in. Finally, my hometown has a few tours and I recently learned more about my own city. 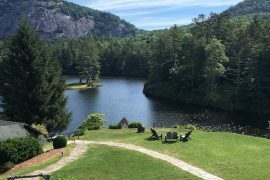 Two new Atlanta walking tours are leading the way to “the best burger in the world,” fried chicken, shrimp and grits, fried green tomatoes, chocolate cheesecake with a sprinkling of Atlanta history on top — and plenty of exercise to walk off (some) of the calories. Even locals are jumping at the chance to experience new restaurants and learn more about their hometown. My first tour was with Akila McConnell, founder and chief eating officer of Atlanta Food Walks. 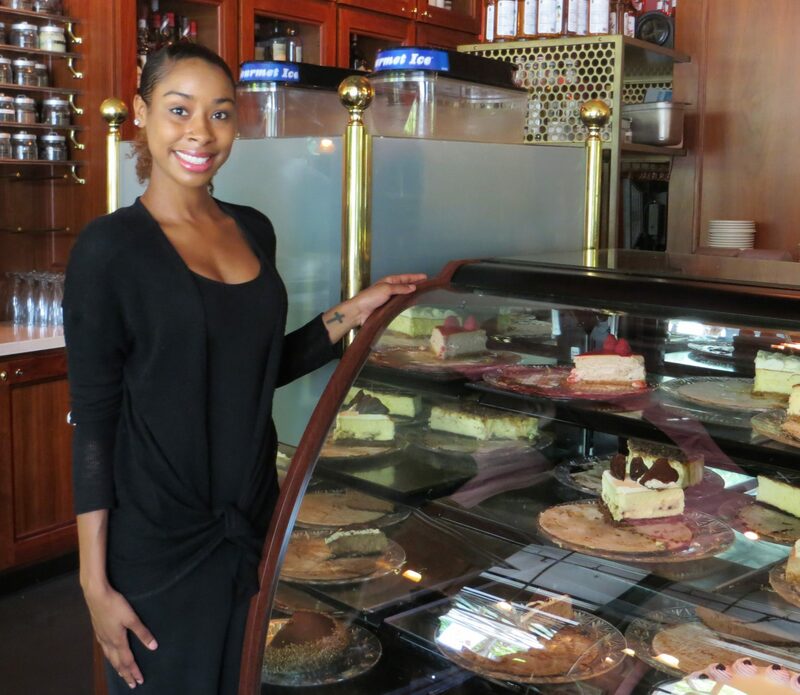 Although Akila is relatively new to the food tour scene, her tour is professional and first-rate. Her marketing materials and map are well done and loaded with information. 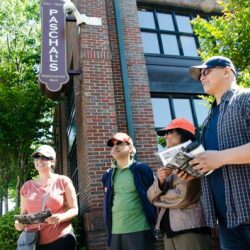 We met at Paschal’s, the birthplace of the Civil Rights Movement, for the Downtown Southern Food Walk. The tour stops at seven restaurants, including Sweet Auburn Seafood, where two women from Great Britain marveled at their first taste of shrimp and grits. 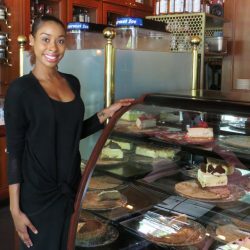 We got to select a dessert from this display of deliciousness at Cafe Intermezzo on the Classic Peachtree Food Tour. It wraps up at the incredible Sweet Auburn Curb Market, which houses 11 eateries. We had a taste of Miss D’s Pralines, and got a warm welcome and big hug from the adorable Miss D herself. I loved the market and marveled that I had visited similar markets around the world, but not one just a few miles from my house! 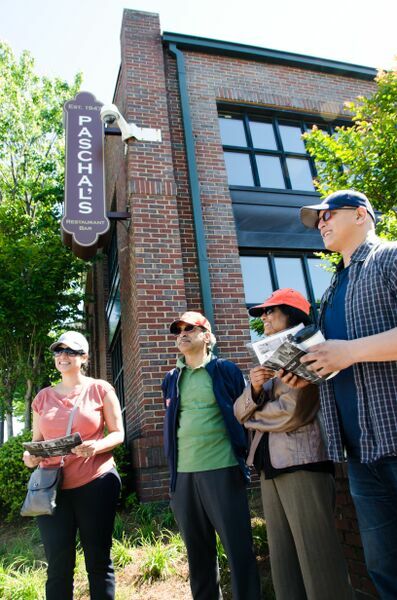 The second tour, the Peachtree Walking Food Tour, starts at the historic Fox Theatre, and follows a path around Atlanta’s Midtown neighborhood. 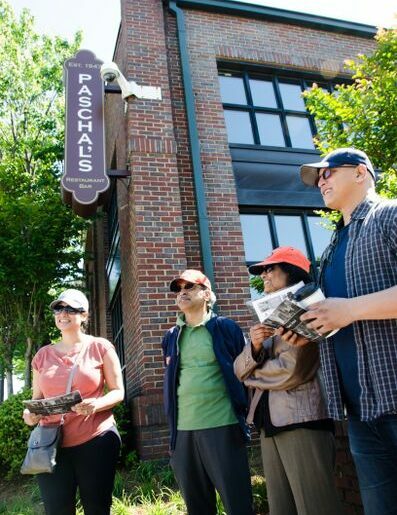 Our guide was the gregarious John Hannula, who recently founded Peachtree Food Tours. 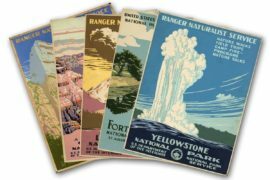 While Akila supplied a map and information about each stop at the beginning of the tour, John’s style was a surprise-filled eating adventure. We followed him from stop to stop, enjoying the anticipation between each delicious bite. We were quickly won over by the burger served on a grilled doughnut, at Cypress Street Pint & Plate, which several people declared was indeed, the world’s best.